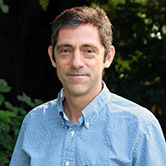 Pedro Lomonaco joined Oregon State University in August 2014 from the Environmental Hydraulics Institute, University of Cantabria, in Spain, where he was the Head of the Hydraulics, Coasts and Offshore Laboratory from 2007-2014. Previously, Dr. Lomonaco was a Research Officer of the National Research Council’s Canadian Hydraulics Centre, in Ottawa, where he designed and executed physical model testing of hydraulic, coastal and ocean structures. Besides managing and coordinating the activities at the Hinsdale Wave Research Lab, his scientific activity primarily deals with studies of physical and numerical modelling of wave generation and propagation, wave-structure interaction, stability of coastal and submarine structures, behaviour of floating structures, hydrodynamics, and non-linear behaviour of long-waves in shallow waters.